This entry was posted in Bible, Christian Zionism, Evangelicalism, Evangelism, Middle East, Theology on November 14, 2014 by Stephen Sizer. 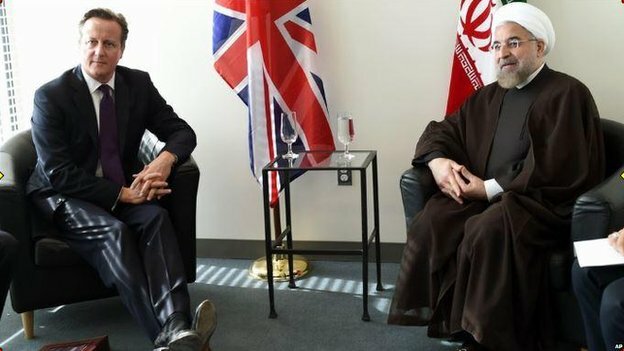 Heartened by the recent historic meeting between Prime Minister David Cameron and Iranian President Hassan Rouhani, at the United Nations, signaling a long-overdue thawing of Anglo-Iranian relations, I was delighted to attend the New Horizons interfaith conference in Tehran last week, as a member of a UK delegation. The conference addressed issues where faith and politics intersect in the Middle East such as Israel’s war on Gaza, Islamophobia in the West as well as the rise of ISIS and those sponsoring extremism. 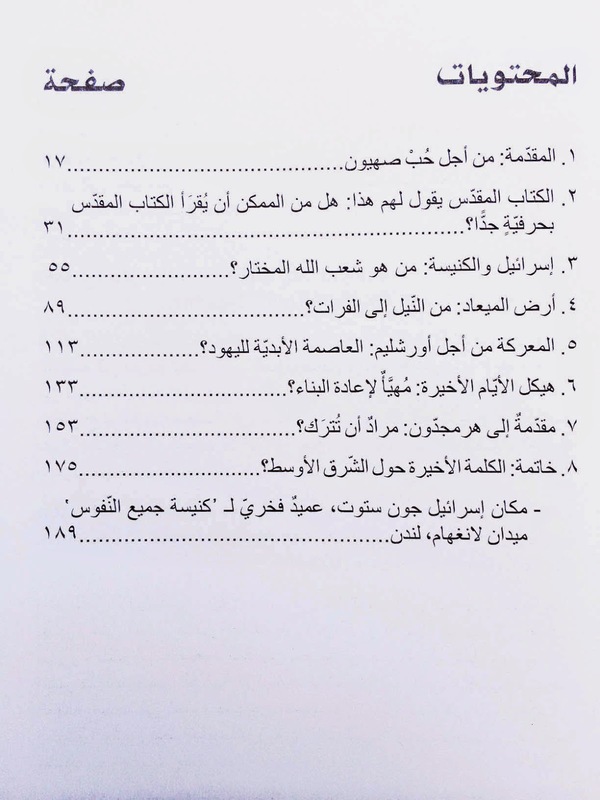 I was invited to contribute to the opening ceremony and present a biblical perspective on Jihad and in particular, a Christian refutation of the Islamic State (IS). Later in the conference I was asked to present a paper on the impact of the Israel Lobby in the UK, especially in parliament and in the media, ahead of the publication of my new book on the subject. Ambassadors, of necessity serve in foreign countries, where perspectives may be different and at times even hostile to one’s own. But given the dire consequences of any breakdown in relations between countries, dialogue and diplomacy are always to be preferred over war and strife. 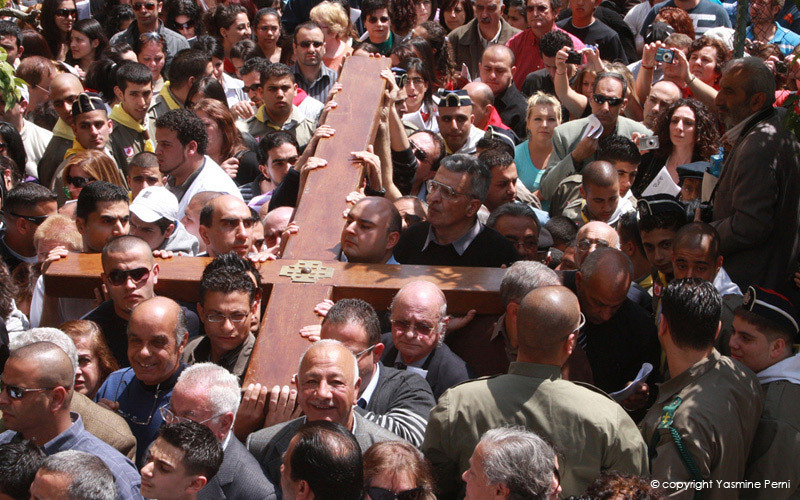 “Are Christian church leaders becoming the world’s most active peacemakers? Only a week after President Peres of Israel and the Palestinian President Mahmoud Abbas accepted the Pope’s invitation to pray together with him in Rome, the Archbishop of Canterbury made a dramatic flight to Nigeria to pray with President Goodluck Jonathan and encourage him to make every effort to find the schoolgirls kidnapped by the terrorist organisation Boko Haram. A walk through the deserted US embassy in Tehran last week was a poignant reminder of how a failure to pursue diplomacy has fueled not only decades of missed opportunities but also perpetuated misunderstanding and animosity between our countries. Ironically, the leaders in Jesus day, tried to dictate whom he could and could not meet with, criticizing him for eating with “tax collectors and sinners”. Clearly they considered his actions “conduct unbecoming” a rabbi. Thankfully for us he did not listen to them. Critics of conferences such as New Horizons should think more carefully about how their inflammatory words will negatively impact on their own communities in Iran. They would be better served following the examples set by our Prime Minister, the Pope and the Archbishop who, as true ambassadors, are working for peace and reconciliation. 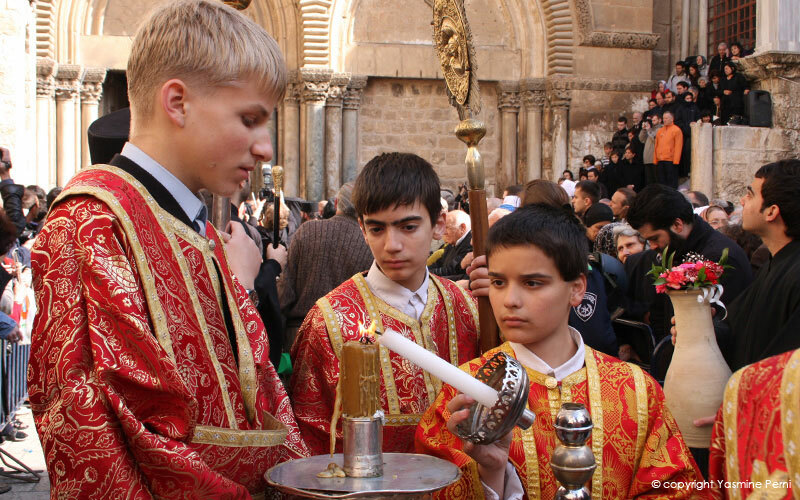 This entry was posted in Anglicanism, Bible, Christ Church, Christian Zionism, Church of England, Evangelicalism, Human Rights, Israel, Middle East, Palestine, Theology on October 7, 2014 by Stephen Sizer. 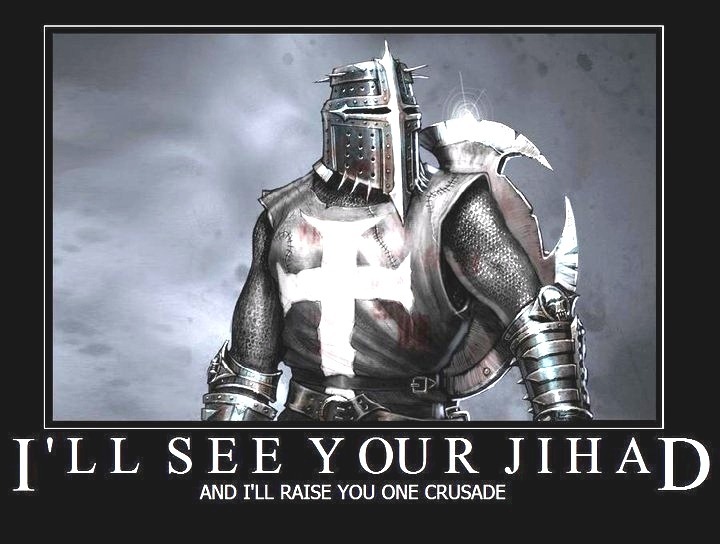 I hope that we would all agree ISIS is no more representative of Islam than Zionism is of Judaism, or the Crusades and Inquisition are of Christianity. But the reality is ISIS has attracted at least 3,000 young idealistic Muslims from Europe. And apocalyptic Christian Zionists are the dominant supporters of Israel’s colonialist expansionist agenda in Palestine. “We know what it is – evil personified. They have morphed out of Al Qaeda who were ironically too liberal for their most radical Islamic interpretations, namely that there should be a new national Muslim identity – a Caliphate. 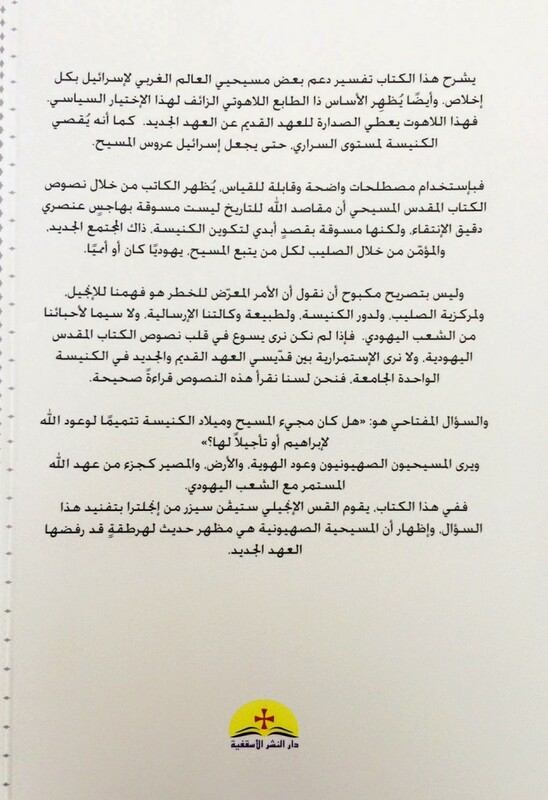 They have chosen Iraq and al-Sham (the Levant) as the territory from which this new “state” will emerge. 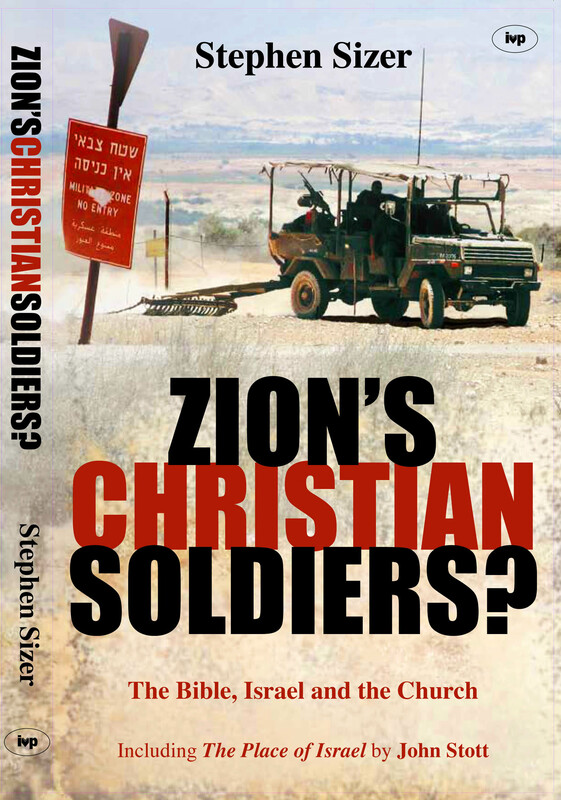 This entry was posted in Anglicanism, Bible, Christian Zionism, Theology on October 6, 2014 by Stephen Sizer. This entry was posted in Christian Zionism, Human Rights, Israel, Middle East, Palestine, Theology on July 31, 2014 by Stephen Sizer. This entry was posted in Christian Zionism, Dispensationalism, Evangelicalism, Israel, Palestine, Theology on June 14, 2014 by Stephen Sizer. 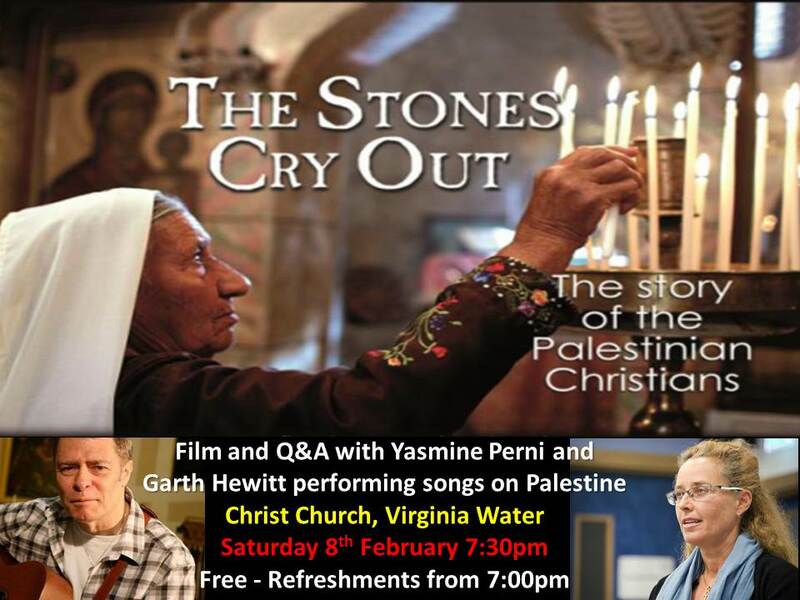 The film, “The Stones Cry Out” is being shown at Christ Church, Virginia Water, on Saturday 8th February at 7:30pm. Refreshments will be served from 7:00pm. 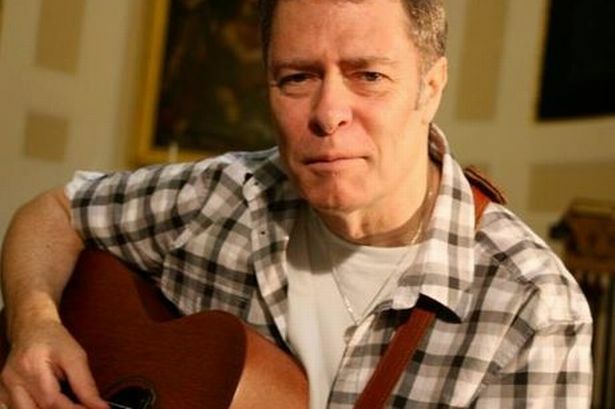 Yasmine Perni, the producer, will be with us and answer questions after the film is shown and Troubedor, singer and song writer, Garth Hewitt will be singing songs of Palestine. 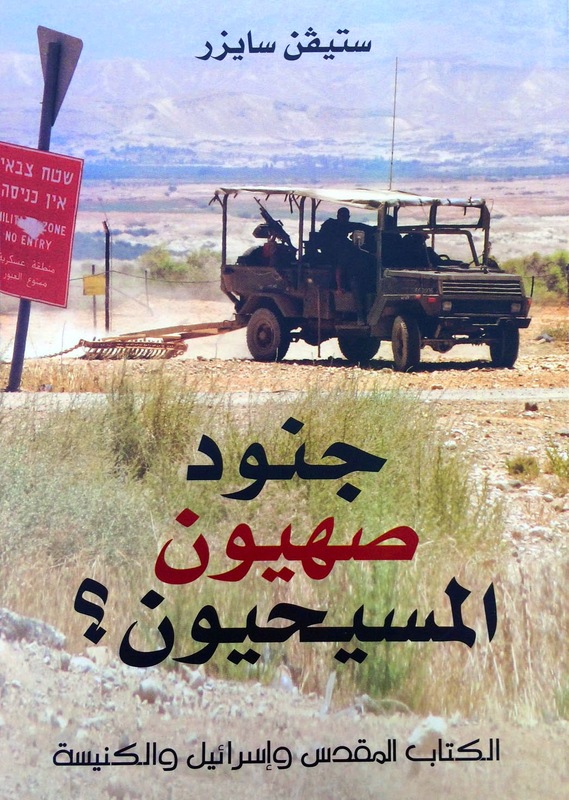 The Stones Cry Out gives a detailed account of the historical, cultural, and political place occupied by Christians in the recent history of the Palestinian nation, and in its struggle against colonialism. 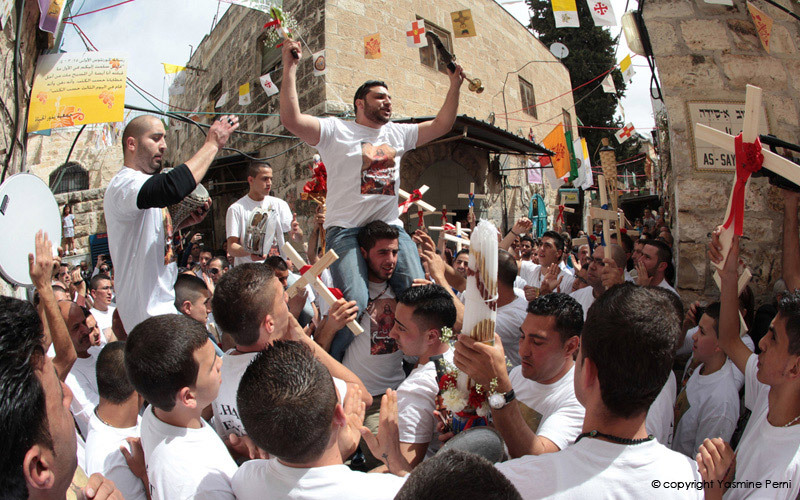 Covering a broad sweep of history, from 1948 to the present day, Yasmine’s documentary includes interviews with preeminent leaders, scholars, and activists, and conveys some of the very specific challenges faced by Christians living in Palestine today. There is no charge or tickets, but a retiring collection will be taken to help cover Yasmine’s travel expenses. 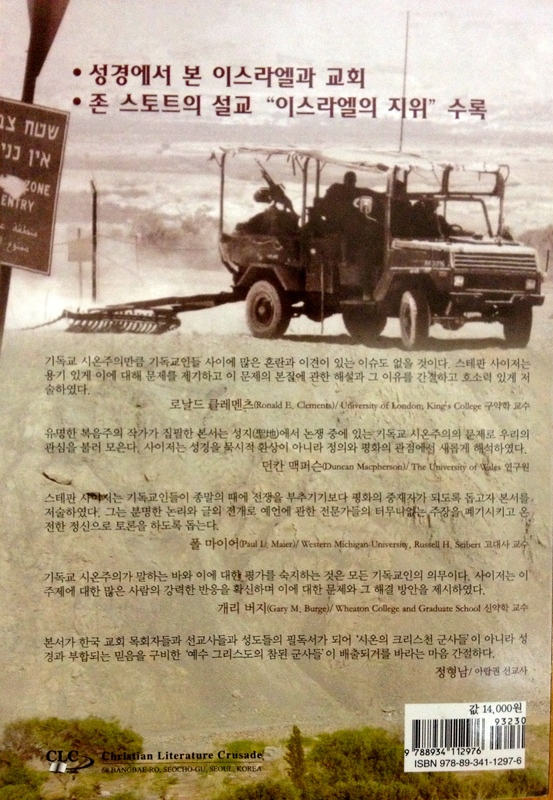 This entry was posted in Christ Church, Christian Zionism, Human Rights, Israel, Middle East, Palestine on February 4, 2014 by Stephen Sizer. 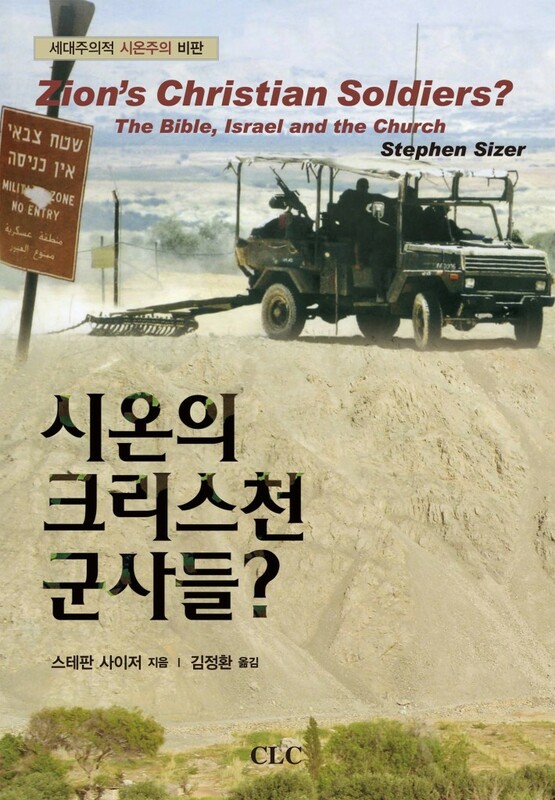 My book, Zion’s Christian Soldiers: The Bible, Israel and the Church has been published in Korean by Christian Literature Crusade (CLC). You can download a PDF copy of Seven Biblical Answers (Korean). And you can buy the book from Christian Literature Crusade (CLC) in Seoul. This entry was posted in Christian Zionism, Human Rights, Israel, Palestine, Theology on October 30, 2013 by Stephen Sizer. I am encouraged to write and share my heart with you because I know your graciousness, fairness and great pastoral heart so I am writing to you in support of my friend Revd Dr Stephen Sizer to express my concern that the Clergy Discipline Measure (CDM) complaint brought against him has not yet been resolved. I understand that this complaint, brought by the Board of Deputies of British Jews, has been hanging over Stephen for almost a year. This has undoubtedly caused him considerable stress, especially given the serious nature of the complaint, and he has also been obliged to cover legal fees running to several thousands of pounds. Justice would surely demand that this complaint is dealt with speedily and is not allowed to drag on any longer. Stephen shared with me that you have been pastorally very supportive of him. I met Stephen in Egypt on several occasions. When I have heard him talk or translated for him on the subject of Christian Zionism he has always spoken with great Biblical insight and sensitivity on this important but controversial topic. 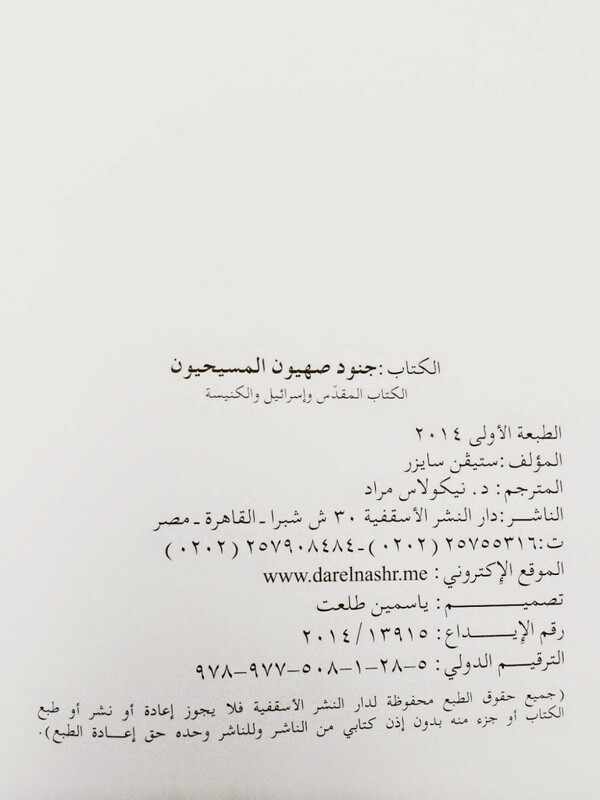 Indeed, we are pleased to have been able to publish his books in Arabic through our Anglican Publishing House and make them more widely available in the Middle East. I am quite clear in my own mind that Stephen is not anti-Semitic, nor has he said or written anything that could possibly be construed to be anti-Semitic. Thus the central thrust of the Board of Deputies’ complaint – that Stephen has made anti-Semitic statements and/or republished the anti-Semitic sentiment of others –simply does not stand up to scrutiny. I would appeal to you to dismiss the CDM complaint, which from my perspective – and indeed the perspective of many others – has no basis whatsoever. This will allow Stephen to concentrate on his ministry in Virginia Water, where he is a much-loved pastor, and on his wider ministry, including his prophetic writings and balanced teaching on Christian Zionism and the biblical call to justice, peace and reconciliation, which we all work for in the Anglican Communion. Please know that this letter comes with my heartfelt prayers that you will act wisely and choose the course of justice. nb. This letter was written before the conciliation process was concluded and permission for its publication was given by both + Mouneer Anis and + Christopher Hill. This entry was posted in Anglicanism, Bible, Christian Zionism, Church of England, Human Rights, Middle East on October 23, 2013 by Stephen Sizer. I await your vindication. You are a messenger just like Martin Luther King or Nelson Mandela. Unlike them you may find that in this life you will not be accepted except by a few but in years to come the world will realize you were a champion of justice and human rights. Do what is right in God’s eyes. 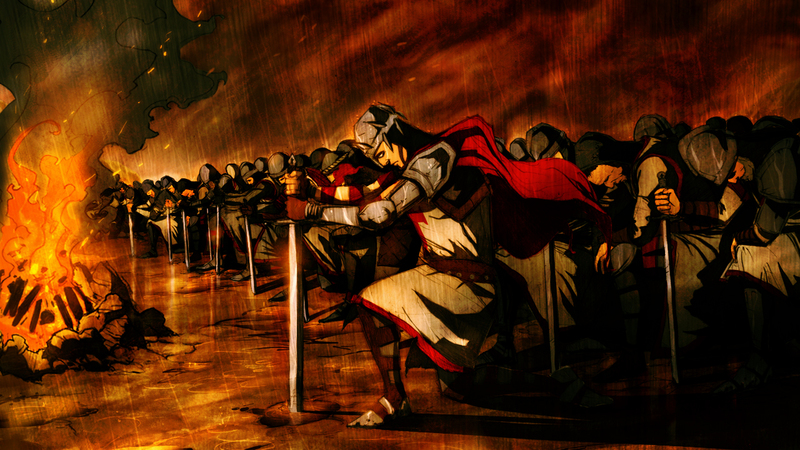 May the Holy Spirit give you strength. Keep your roots and values in God’s word in a loving relationship with Jesus. You are always in my thoughts and prayers. This entry was posted in Anglicanism, Christian Zionism, Church of England, EMEU, Human Rights, Israel, Middle East, Palestine, Theology on June 28, 2013 by Stephen Sizer.